In June of 2019, the Advanced Placement United States History and World History students will be taking a trip to Europe for the 75th anniversary of the D-Day invasion of Europe. This voluntary trip will allow students to see first-hand the history and importance of this monumental day. On the trip students will visit Germany and France. 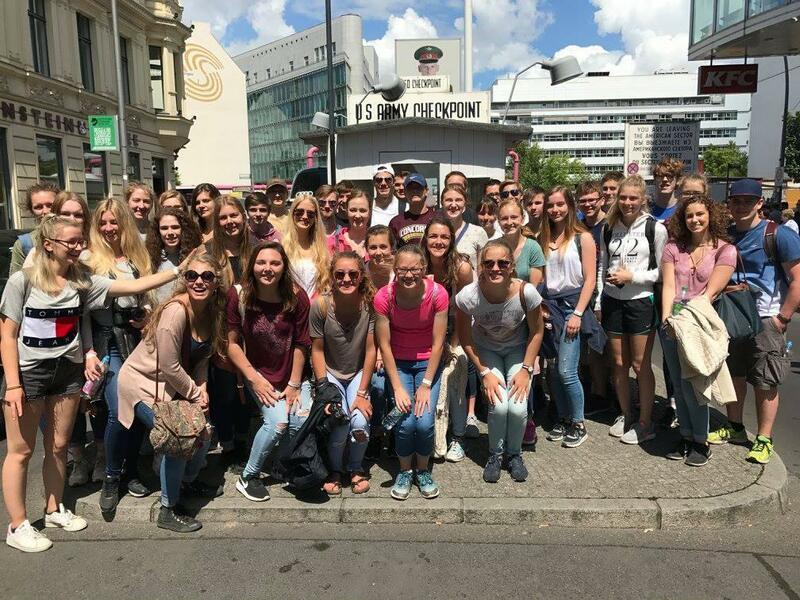 In Germany, students will visit Berlin, see the first WWII concentration camp built by the Nazi rulers of that nation, and will experience the Topography of Terror Museum, located in the heart of the city. From Germany the students will travel to Normandy to visit the historic beaches of D-Day. While there, the students will participate in a special ceremony to commemorate the anniversary. After Normandy, the students will travel to Paris, where they will spend the last two days of their excursion. While in Paris the group will see the Eiffel Tower, the Champs Elysee, and the Cathedral de Notre Dame. To end their time in the City of Lights, the students will take a river cruise along the River Seine, to see the city from a new and exciting angle. This is an exciting trip for our Advanced Placement students, and we are certainly looking forward to this trip and the memories that it will create!